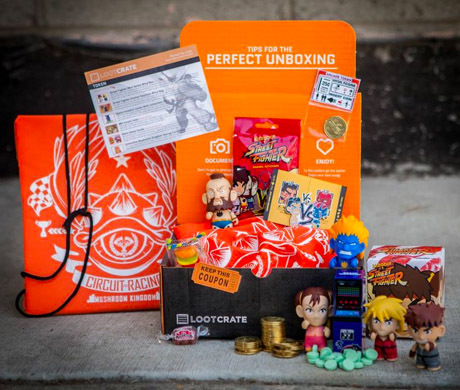 It may sound like a grab bag/box but in actuality each item is carefully selected by the Loot Crate team. “Every month we get to totally refresh the types of items we’re giving,” said Davis. That’s because each crate is themed, such as February’s “Cosmos” crate that contained Star Wars and other sci-fi related items. So does every subscriber get the same items in their crate? Yes, with some minor variations for things like candy flavor or which Star Wars bobblehead (there were four possibilities). And how much does a subscription cost? Looters pay just under $20 a month for the service (there is also a 3- and a 6-month plan that drops the overall price a couple of bucks). 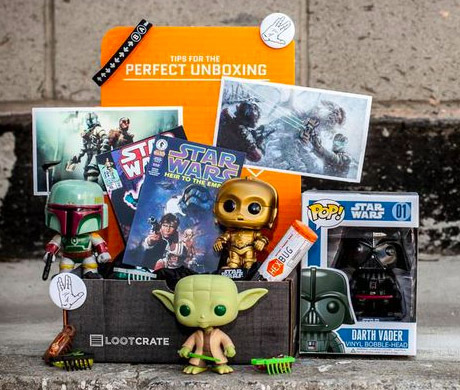 In addition to the monthly crate, one lucky subscriber also wins the much-coveted Mega Crate. 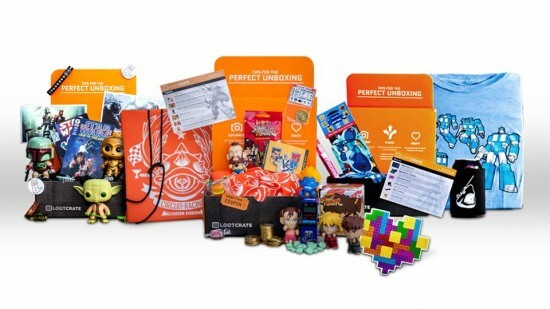 With a value north of $250, Mega Crate’s very name hints at the geek gold it contains like a Zelda shield, Doctor Who sonic screwdriver set, and a lightsaber. Looters are also active in the mobile app and in a separate Facebook group where they make trades for items they got/want, share their passions, and perform Random Acts of Kindness. The latter is where a fan puts together their own “crate” and randomly picks a member of the group to send it to. That winner then does the same the next month and so on. Speaking of the next month, both Arevalo and Davis are keeping quiet on the contents of the August crate. But the video game theme may make it one of Looters’ most beloved crate yet. “The caliber of the company we’re working with [for August] is a top tier publisher of video games,” Davis teased. Any guesses who it might be? We’ll let you know when we do our review of the July Crate, so stay tuned for that.